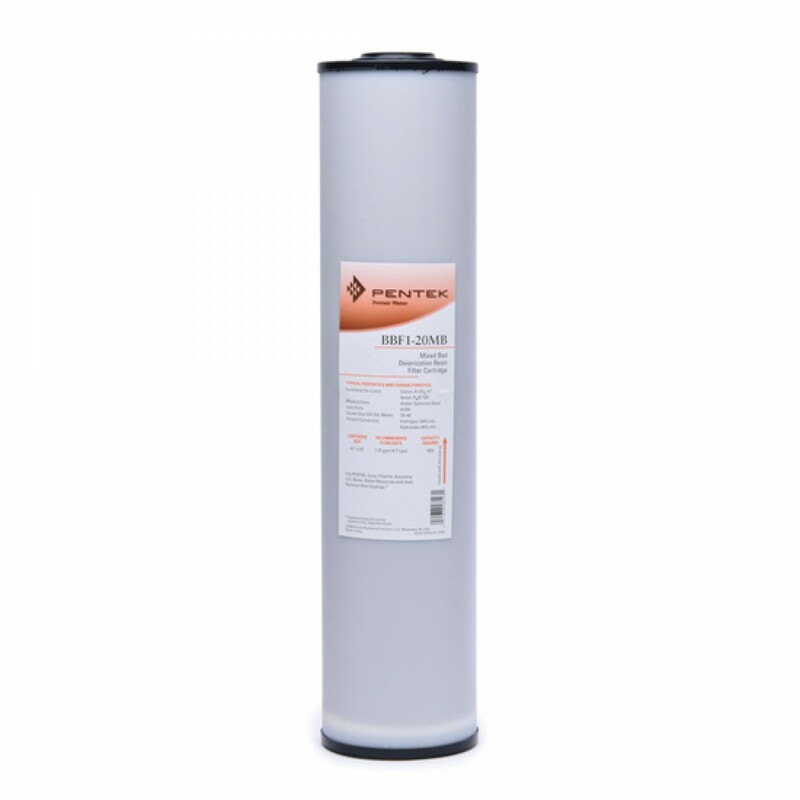 The Pentek BBF1-20MB filter cartridge is manufactured using an FDA-compliant resin that has been subjected to additional postproduction steps to minimize the total organic carbon (TOC) level. Convenient and cost-effective for many applications where low levels of total organic carbon (TOC) and total dissolved solids (TDS) are required. PCF Series cartridges have been developed in response to the requirements for deionized water in many industries. NOTE: For drinking water use. DO NOT use with water that is microbiologically unsafe or of unknown quality without adequate disinfection before or after the system. NOTE: Do not use cartridges on equipment that has an electric conductivity water level indicator. The BBF1-20MB has also been branded under Pentek, Ametek, Culligan, Kleen Plus, Plymouth Products, Pentair, American Plumber, Bruner and USFilter. The BBF1-20MB are high-capacity, semi-conductor grade resin cartridges ideal for use in pharmaceutical and medical laboratories, cosmetics, and circuit board printing applications. Commercial and Industrial Applications for Deionization Filters include: Circuit board printing. Pharmaceutical use. Steam and humidification. Cosmetics. Steam processors. Humidification systems. Recirculating/cooling towers. Power generating equipment. Medical/laboratory use. Lasers. Jet water sprayers. Boiler make-up water. 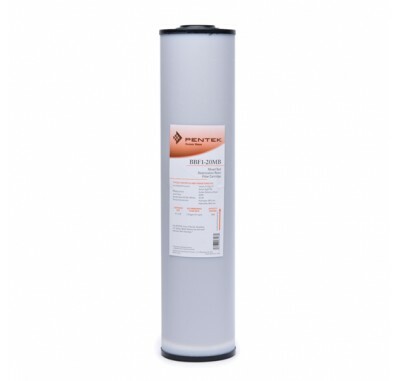 155281 Pentek BBF1-20MB DI filter fits in housings for 20 Inch Big Blue water filters.